Have you ever thought about how a rotating picture looks like? And what happens if you transfer it into digital art? 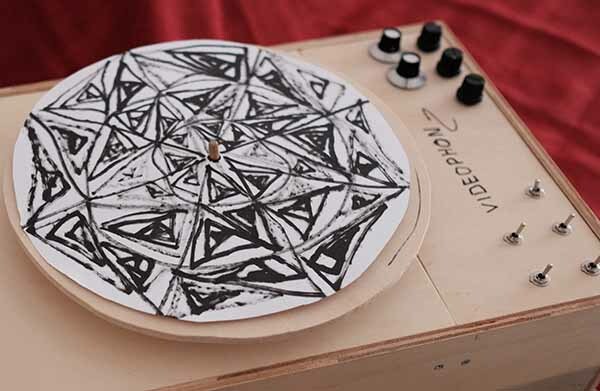 Marlene is a wooden turntable for generating visuals from hand-drawn art. 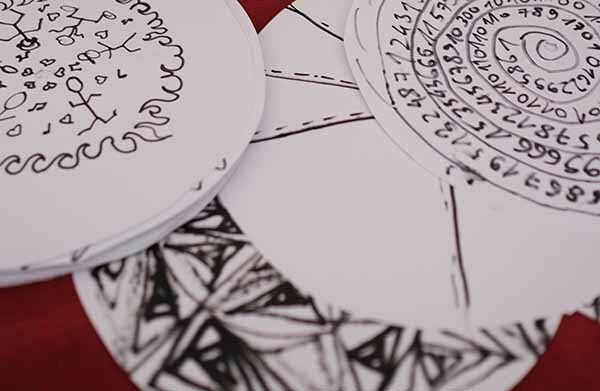 To get started, draw a graphic or picture on a paper record and place it on top of the machine. But you could also use any other kind of stuff – what do you have in your pockets right now?! By using a crank the rotation of the turntable gets started and the drawn lines, circles, and other graphics will start to form a completely new and exciting image. But that’s not all! The rotating image is captured by a camera and then projected on a large screen, (house) wall, tent, or any other object you can think of. 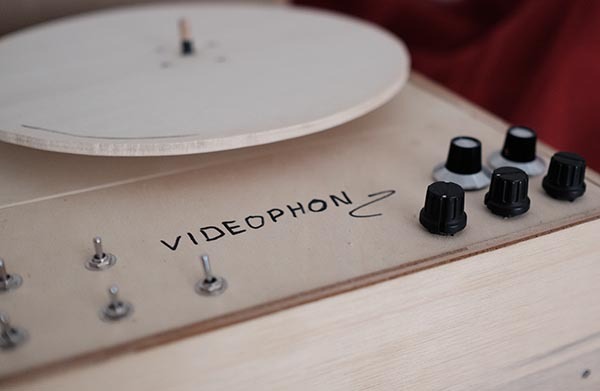 In real-time and by activating knobs and potentiometers you can transfer your image into digital art! Change the design of your record and create new images that are reflecting your mood, or simply play around. Be like a DJ behind his deck.